Conceptual art divides people as fiercely and clearly as it divided the Old from the New early in the 20th Century. Art that can be an idea, or a mere instruction or a thought – often independent of a material resolution or form – is anathema to many. And all too often, conceptual art is itself to blame. By creating impenetrable layers of obscure meaning or by expressing an ultra-personal iconography (as in the work of Joseph Beuys) it can lose people, who can see it as coldly intellectual, its poetry alien. The work of Japanese-American artist Yoko Ono is different. Although highly conceptual and loaded with many layers of meaning, Ono’s art has always carried a very human message. Almost everything she creates can be immediately felt on some flesh-and-blood level, which can be a doorway to the deeper storeys of stories within. Ono’s work is outwardly simple, but it is as loaded as a bear-trap. War Is Over (If You Want It) Yoko Ono recently opened at Sydney’s Museum of Contemporary Art. It gives us a unique and wide-ranging look into Ono’s world (and through it, our own). 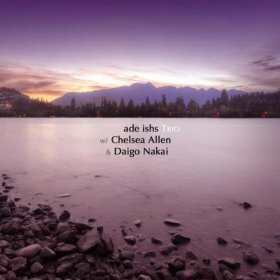 The title comes from massive billboard posters that Ono and her husband, Beatle John Lennon placed across the world’s cities in Christmas 1969 as a message and gesture of peace. Peace is a theme deeply associated with John and Yoko and many of Ono’s pieces express a yearning for peace, both on universal and personal levels. Her ‘Play It By Trust’ (1966) is a chess set where all the pieces are white as are their squares. As the players play, they lose track of which pieces are theirs and which are those of their opponent, and soon the idea of ‘sides’ is blurred – we realise, just as fraternising trench troops during World War I realised, we are really all the same. The simplicity, the whiteness, the life-affirmation of this piece are pure Ono – her emotional palette as well as her colour palette is white, water, clouds, dreams, love, peace. Blurred edges of personality that connect us all in a universality. 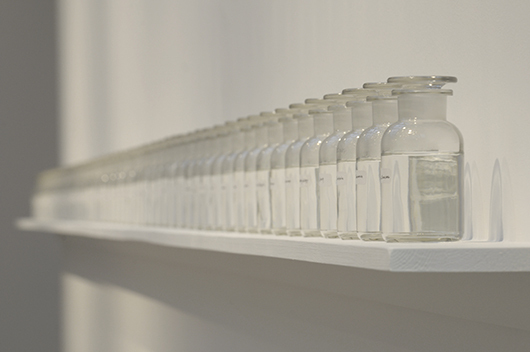 This universality of humanity is equally expressed in her 2006 piece ‘We’re All Water’, a row of identical bottles containing identical amounts of water, but all with a name attached – Groucho Marx, John Coltrane, James Joyce, John Lennon – different names, identical containers and contents. A simple idea but one which grows many thoughts, like branches, upon reflection. But it is not all sweetness, love and light. Ono’s meditations on sexual politics – especially as they relate to women – can be disturbing in their power. 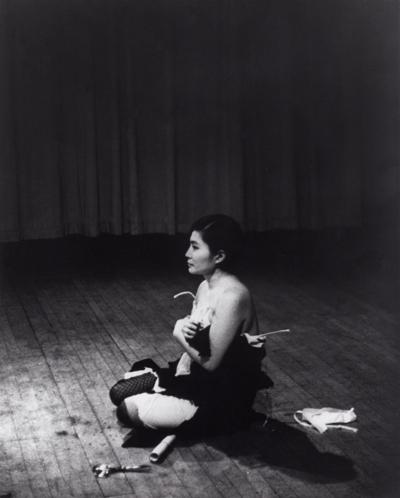 Footage of her famous ‘Cut Piece’ from 1964 – where audience members are invited to cut away the clothes of a passive, kneeling Ono with sharp scissors – is shown on a wall here, adjacent to a more recent performance from 2003, where the piece is carried our on the artist, now 70 years old. Aside from the power of the obvious sexual and political connotations here, it is remarkable that the piece takes on even greater depth and raises new questions when ‘Cut Piece’ is now applied to the artist as an elderly woman. ‘Touch Me III’ from 2008 is a series of boxes, each containing a silicone replica of an erogenous part of a female body – lips, breasts, pubis. We are asked to wet our fingers in a bowl of water and touch the flesh-like silicone. The sense of violence here is inescapable, even though all is dark and still. When ‘Touch Me III’ was first shown in New York, the silicone was left with so many cuts and gouges by visitors that the gallery decided to remove it. Ono declined the idea, leaving the damaged ‘flesh’ in view of all. Ono has created a specific artwork for Sydney – ‘Wish Tree for Sydney’ – six lemon-scented eucalypts on the Sculpture Terrace with materials to write and attach their dreams and wishes to the tree. Inspired by Shinto temple trees of Ono’s childhood in Japan, these Wish Trees (the first was made in1998) are a simple, heartfelt emblem of positive human aspiration. And it is this desire for a better world, a better future, that runs through all of this work. Ono lived through the nuclear devastation of Japan during WWII; she has starved and known the dreadful suffering of the vanquished side. So this yearning for peace is not an abstract tissue of lip-service, as it is in too many artists, but her gift to us and her gift to the future. 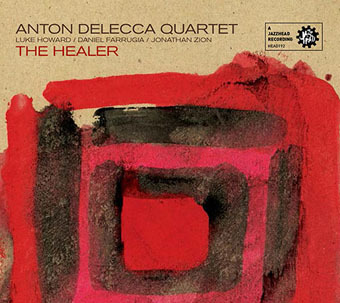 Tenor man, Anton Delecca – and his Quartet – has delivered a muscular and deeply felt album with their third, The Healer. Checking US sax icon Ernie Watts earlier this year I was reminded of the lithe power of the tenor quartet, a power I have rarely heard as fully flowered locally, until The Healer. The obvious comparisons with the daddy of all modern tenor quartets – the Coltrane group of the 60s – are straight-up realised on opener ‘The Ark’: a 7/4 winding desert path of Middle Eastern-flavoured melody. The band flexes and contracts around Delecca’s questing, searching solo. Luke Howard’s piano solo is a small masterpiece of texture – dig how he ends it with a murky slither into the deeper indigos of the lower piano register. Howard’s playing across the album is dazzling. His Tyneresque intro to the sinewy ‘Icarus’ is wonderful: all ripples and questions and darkened windows. ‘Icarus’ also has a scratching, spitting duet between Delecca and drummer Daniel Farrugia; its energy is reminiscent of those Coltrane-Elvin Jones codas that made us all jump for joy. But the Quartet is not all muscle, knuckle and sinew. ‘Hokusai Says’ is a lovely, translucent ballad that brings to mind the muted colours and perfect vignettes of the eponymous Japanese woodcut master. ‘Cycling’, though brisker, also shows the easy balance the four attain with each other – bassist Jonathan Zion’s playing here is superb, notably for what he doesn’t play; a skill that takes true sensibility to attain. ‘Hectic’ is hectic. Its melody a fevered montuno, ‘Hectic’s Latin momentum is headlong and headstrong with the band pushing Delecca’s solo into some snapping and biting areas. Across The Healer, Anton Delecca gives nothing less than his whole soul to the material – his tone a nice hard Hard Bop shout and/or moan. 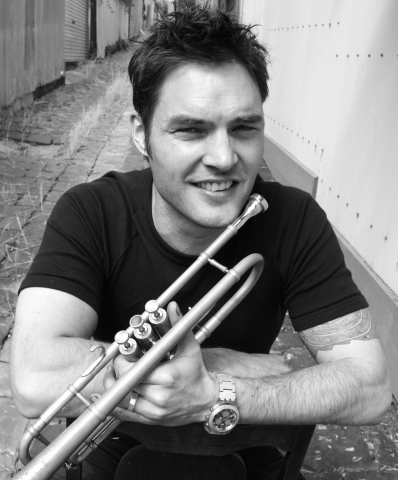 His compositions, also, are great jazz pieces – whether beds for blowing or reasons for reflection. With material this strong, I wonder at the inclusion of the two standards, ‘Love for Sale’ and ‘Bewitched, Bothered and Bewildered’. Both beautiful tunes (if a little obvious) and the band does have fun with them. But The Healer sags slightly here, if only because Delecca’s (and Jon Zion’s dreamlike ‘Sahadi’s’) original material is so strong. The strongest piece for me is the title track, ‘The Healer’ which closes the album. Zen-like, its strength comes from its resigned simplicity – inevitable and calm as nature, its crescent structure arcs slowly over 6:36 from Luke Howard’s whispered chords to when the band enters (Delecca only enters at 4:00 and then only to firm up the same minimal chords) only to die off again to silence on that handful of churchy chords. It is lovely, transporting, spiritual –and has exactly nothing to do with the way much of jazz is played today. 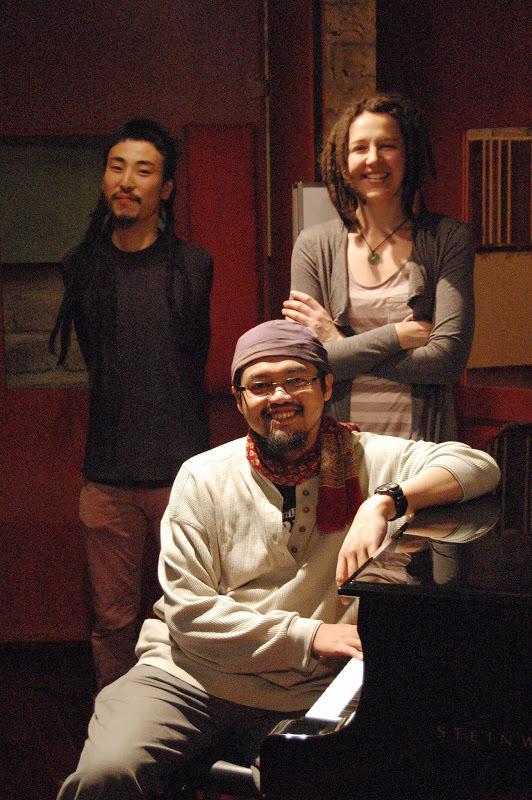 Which makes it a truly unique musical experience, beyond genre – as much great music is. Delecca, Howard, Zion and Farrugia have made one of the finest tenor quartet albums I have heard this year – animal strong and caress soft, fiery yellow and cool blue. It is a jazz format that is one of the most satisfying of all within the canon, and they do it so well. So well, in fact, that they deserve your ears. They already have mine. Australia and America share many similarities historically. Both are young countries, both are built on a pioneering spirit, both countries were quick to create their own mythologies, royalties and national characters from the very start. Taking in the Art Gallery of New South Wales’ current blockbuster, America: Painting a Nation, I was struck though, how different the view of their early painters was to ours. And it is a difference, in one form or another, that flows right through to today. The early landscape artists of Australia tellingly depicted this new, alien landscape in English tones – our ochres and dun-olives became blacksoil and Sherwood green on canvas. The yearning to create as much of Mother England here in this dry, frightening colony was strong – so strong it meant distorting in the mind that which the artists actually saw with their eye. Early American landscape artists, on the other hand, also distorted – but the other way: their America was bigger, better, more promising, almost every painting suffused with a golden Arcadian glow of richness and glory. These are visions not of fear but of swelling pride and pioneering thrust. 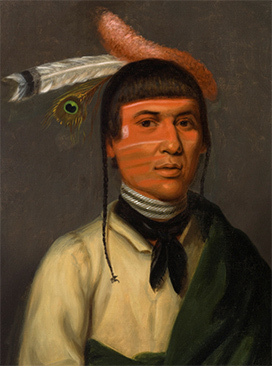 There are academic portraits too, but soon, with revolutionary energy, they too reject the British style and replace pictures of noblemen and women with Indians (Henry Inman’s 1832 portrait of No-Tin, a Chippewa chief, is dazzling) and African-American sailors. Revolutionary leader, John Adams noted in 1775 that the British flavour of ‘taste and politeness’ was being pushed aside by the new republican virtue of ‘fortitude and enterprise’. A lovely anonymous naïve farm scene of 1850 is entitled ‘He that tileth the land shall be satisfied’. Smartly arranged both chronologically and geographically – from the early Atlantic coast colonies of the early 1800s to the Pacific coast of the mid 20th century – America: Painting a Nation is part of the 2013-14 Sydney International Art Series. Being in collaboration with the Los Angeles County Museum of Art, Houston’s Museum of Fine Arts, the Philadelphia Museum of Art, and the Terra Foundation for American Art allows a wide scope across over 90 works. Once the initial – and uniquely American – pioneering thrust dominated the land, its energy created cities and, in them, a society that had never known such freedom of individual ambition before. Artists again glorified this energy. Images changed from naïve and homespun images of country and village life – many proto-Norman Rockwell icons of health, harvest and home – to expressions of urban dynamism, the blast of business and cosmopolitan sophistication. James Whistler, John Singer Sargent and others, in a strange reversal, became the toast of London and Paris. Mary Cassatt’s ‘A Woman and Girl Driving’ shows a proto-feminist view of a capable, strong mother, that reflects this attractive American energy. It was the Gilded Age, an age of new opulence – money was everything, gentility and display threatened to subsume that uniquely American energy. Europe fed many artists of the early 20th century with new palettes to express their cities – Fauve colours, futurism (the angles, machinery and roar of which fitted America like a race-car driver’s glove), the dizzy 360 degree spin of cubism. But as well as painting the wonders of their vaulting cities, many artists also began reacting to the negative pressures of urban life. Edward Hopper’s ‘House at Dusk’, painted in 1935, is as dislocated as any of the works of this master of dislocation – its odd cropping further deepening its mysteries and shadows. There was also a sagging sadness for the loss of the Old West – hugely popular frontier artist Frederic Remington set out to capture this dying breed and their images. He is represented here by one of his most transfixing images, ‘The Herd Boy’ of 1905: a windblown Indian boy on a starving horse in a white-out landscape of snowy scrub, an image reminiscent of the cover of The Beach Boys’ 1971 album, Surf’s Up – where it is used to symbolise a similar loss of innocence, albeit several generations later. The remarkable Georgia O’Keefe went at it at a different, more positive and spiritual level than Remington, creating works that drew on nature and America’s pre-invasion cultures – in a sense, linking her with the nation’s 19th century nature-worshipping painters. 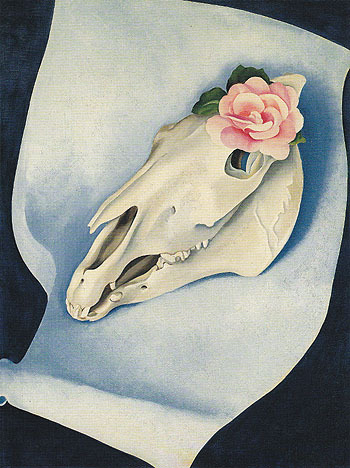 Her ‘Horse’s skull with pink rose’ of 1931 is as timeless and deep as it is not of modern America at all. 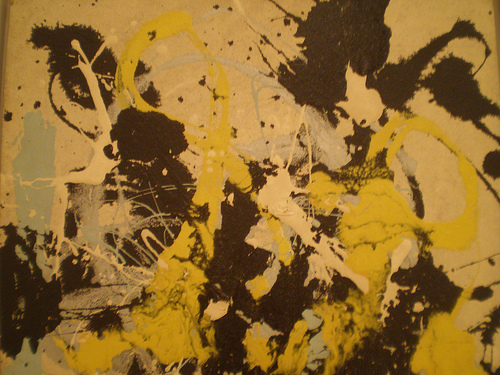 By the 1950s, American art had its own, supposedly entirely indigenous Style – Abstract Expressionism. Whether this was truly an important style, or just America once again constructing its own mythology, it made New York the new centre of the world of Art. Lee Krasner’s 1951 ‘Blue and Black’ and Ashile Gorky’s ‘Dark Green Painting’, while introspective and dark, have that hot blade of American manifest destiny in their bold execution. Pollock and Mark Rothko are represented here by startling, genius works that jump off the walls with the power of their vision – Pollock’s ‘No 22’ from 1950 virtually drags you across the room. By the time you are through to the end America: Painting a Nation has, like American history itself, blown your mind with the energy compressed into less that three centuries.